Tom and Kate’s daughter turns six tomorrow, and they have to tell her about sleep. If you sleep unwatched, you could be Taken. If you are Taken, then watching won’t save you. 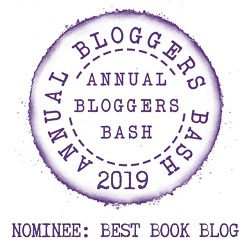 I started reading this book a few months ago, unfortunately, due to time constraints I had to put it to one side for a while as it wasn’t really a book I could dip in and out of – I know I tried – As the story was quite complex, for me anyway. Whilst I love Dystopian fiction some elements felt quite Sci-Fiy (is that even a word) and Sci-Fi isn’t something I read often, hence I needed to concentrate on the book. The story begins in the not too distant future in a world where people are connected to ‘The Feed’, they do most things via it, including communicate with one another – Even when sat facing each other, spoken language is rarely used. You can see another person’s fears, worries, memories, loves, just about everything about another person via The Feed. Just think of today’s social media but with the ability to see into the person you are connecting with. This has been happening for years and is a way of life. However, one day The Feed goes offline. Imagine a world where people don’t know how to communicate with one another, let alone speak out loud. There is also another scary element to The Feed disappearing, it is easily hijacked and people are vanishing in their sleep, so when you sleep someone has to watch over you. 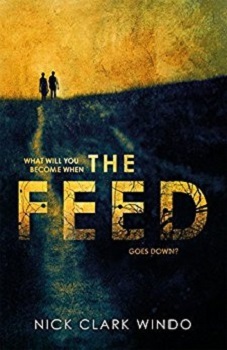 The Feed is one amazing book set in a world where people don’t know how to be just like we are in today’s society. Imagine if the internet vanished and you couldn’t access anything via the web anymore, how would life exist, how would businesses exist. Imagine that scenario but with a more serious element to it, you or someone you love could easily be taken by someone or something hijacking the now dead internet. Quite scary to think about. This is a book that makes you think, not only about the future but about the use and quite often overuse of technology today. It is full of surprises and twists and turns. It did feel a little slow to get going, but once past the first couple of chapters the pace picked up and the book came alive. The characters all fitted together perfectly and whilst the premise of disappearing in your sleep might seem a little far-fetched, the bonding and behaviour of the cast made this book perfectly realistic. It’s hard to believe reading this novel that it is written by a debut author, the writing is that good. If you love Dystopian fiction then this is a book for you. Also, I believe that there will soon be a TV series based on the book. I hope that they keep to the plot and do the book justice. I for one will be watching it. Nick Clark Windo studied English Literature at Cambridge University and acting at RADA. As well as writing, he works as a film producer and communications coach. He lives in London with his wife and daughter. The Feed is his first novel. It sounds quite interesting! Great review. I will look for this at the library. Great, I hope you find it and enjoy it. I know, it’s quite scary as I think we’re heading that way now. No-one wants to talk anymore where a text or email will work. You hit the nail on the head. Definitely worth concentrating on. This sounds like a complicated book but your review was so easy to read. I don’t know if I would read this myself but it does sound like a great premise for a tv show! I’m really hoping the TV show is great and brings the book to life. Intriguing. And I like the cover. Draws you in. I’m adding this one to my TBR 🙂 Thanks so much for the recommendation! Great review. I do enjoy dystopian but this book does sound a bit Sci-Fiy. Thank you. It was certainly a mixture of the two. This sounds amazing – and kind of like Ready Player One’s OASIS – I love sci-fi and dystopian so I’ll have to give this one a try.